I was working very hard to convince my daughter to watch a classic movie. She’d have none of it. “You can’t tell anyone apart. They all have the same haircut and wear suits. The guys that is,” she said. 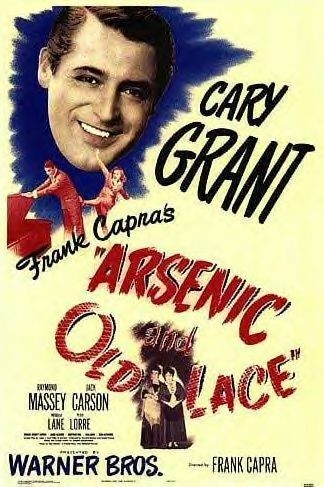 I paid no attention to my daughter’s complaints and told her we were going to watch Arsenic and Old Lace. Initially, she acted disinterested. Then she giggled occasionally. Toward the end, she was laughing out loud and commenting. Classic movies always make me smile. Watching my children enjoy them makes me smile even more. Posted on January 26, 2014, in Family, My life, perspective and tagged 365 reasons to smile, Arsenic and Old Lace, classic movies, life, movies, musings, resiliency, smiles, Thoughts. Bookmark the permalink. 20 Comments.